A two-hour, first-touch experience with a motorcycle and not designed to teach a person to ride. As a familiarization program that points out the primary parts and controls of a typical motorcycle, it helps a potential rider determine whether motorcycling is a good personal choice. A person is given the option to manipulate the controls while astride a motorcycle, and is led into a BRC as a formal way to learn to ride. 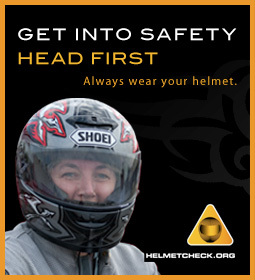 Also embedded in the experience is a self-assessment component to ensure a person is aware of the risks and requirements for being a good, safe and responsible rider.